St John's students are busy preparing for their annual concert at Bishop Auckland Town Hall, Monday 11 February at 6.30pm. 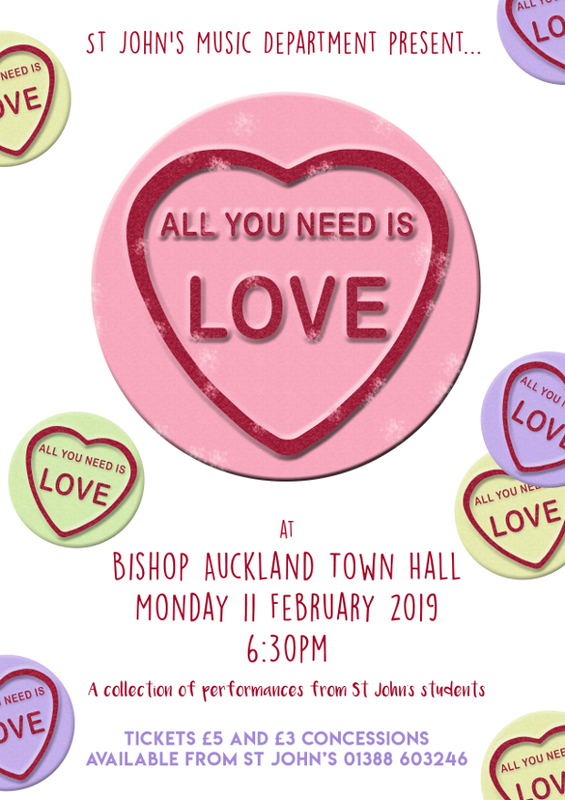 The concert is themed all around love and promises to be a superb evening as students will showcase the school choir, orchestra, rock bands and a number of vocal and instrumental solo's. Tickets are on sale from main reception priced £5 and £3 concessions. this concert is usually a sell out so don't be slow!